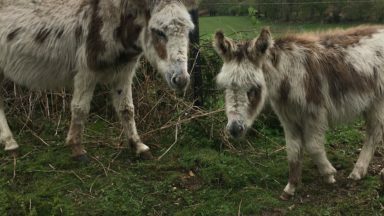 Any time of the year, although between early spring and the end of autumn you have the chance of more settled weather and better walking conditions. Low level walking to suit most ages and abilities; no difficulties apart from some short steep uphill and downhill sections; can be muddy in winter; some road crossings (which can be busy) and sections along roads. 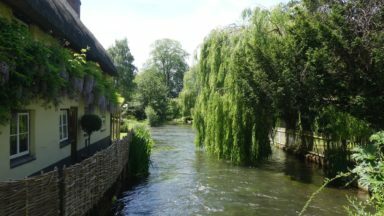 Great views including: the Vale of Pewsey and Salisbury Plain; the tranquil River Avon; picturesque villages; prehistoric sites including Avebury and Stonehenge; Salisbury cathedral. A guidebook to the Great Stones Way, a 36-mile walk through the Wiltshire Downs from Barbury Castle south of Swindon to Old Sarum north of Salisbury. 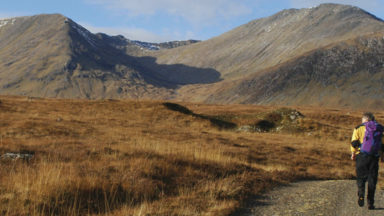 The walk is divided into 6 stages with each stage ranging from 4 to 11 miles. The walk passes through countryside adorned with significant historical sites and relics from ages past, such as the world-famous Stonehenge and equally enchanting Avebury henge. Step-by-step route descriptions are accompanied by 1:50,000 OS mapping. Also included is a route summary table, information about facilities en route, plus maps for Avebury henge and Stonehenge. Rich with history and showcasing picturesque landscapes, this is a walk that can be savoured over the course of a week or enjoyed as an energetic weekend adventure. Good transport links are available at each end. Accommodation: The Old Post Office B&B at Haxton is closed and no longer offers B&B. Ignore the start of the Stonehenge Loop text and continue to follow the main Great Stones Way route south to reach the A3028 in Bulford. Here, turn right crossing the River Avon and follow the road (pavement) uphill through Durrington for 1.5km. Cross over the A3028 just before the roundabout and proceed to turn left (south) along the A345 (pavement) for 200m. With care, turn right across road (A345) and follow the surfaced path opposite (Durrington Walls are now over on the right) to join a minor road at bend. Turn right (west) for 100m and just after the gate on the left that gives access to Woodhenge, turn left through a gate and follow the path diagonally south-west across the field (now rejoining the Stonehenge Loop route in the guidebook) and leave through a gate in corner. Turn right along the track-bed of the former Amesbury to Larkhill military railway. After 150m fork slightly left to follow an enclosed path in the same direction, soon with houses on the right, to a cross-track junction at King Barrow Ridge. Straight on is a view of The Cursus. In 36 miles the Great Stones Way runs through the Wiltshire Downs from Barbury Castle near Swindon to Old Sarum on the outskirts of Salisbury. It’s perfect for a long weekend or a leisurely week, with good transport links at each end. Broken down into 6 sections there are also some additional loops that would take you via some special interest places such as the Alton Barnes White Horse and prehistoric sites including Avebury and Stonehenge. The Great Stones Way has been developed by the Friends of the Ridgeway using existing rights of way. The Great Stones Way (GSW) was not conceived as an all-the-year-round alternative to the Sarsen Trail, but as an ambitious project by the Friends of the Ridgeway (FoR) to resurrect the whole of the ancient coast-to coast Ridgeway, initially by extending it southwards from the end of the present Ridgeway National Trail (RNT) at Overton Hill on the A4. This route is indeed shown as the Ridgeway on Ordnance Survey maps going up to the Wansdyke, then down to the village of Alton Priors, and the FoR theorised that it pointed straight at Stonehenge. The attempt to revive the entire route proved to be well beyond the means of the FoR, but they persevered with the concept, settling on the GSW as being the first stage. The GSW officially starts at Barbury Castle on the RNT, but this guide actually starts at Coate Water in Swindon, much easier to get to by public transport. It ends at the Iron Age hill fort of Old Sarum, with an optional continuation to Salisbury cathedral. 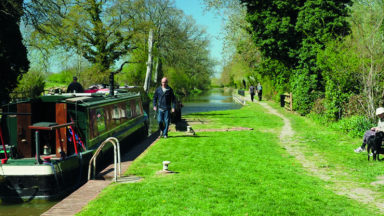 The route makes much use of three existing long distance paths, namely the RNT, the White Horse Trail and the Pewsey Avon Trail. 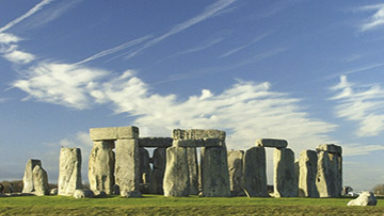 Optional side trips (or loops) can be taken along the way, to Avebury and the Alton Barnes White Horse, and you have to choose which route you would like to take on several occasions, including a key decision in stage 5: to visit Stonehenge or avoid it (the official route avoids it). The walk is some 53 miles long if all the loops and longer alternative routes are chosen. It has been split into six sections, varying in length from 5.25 miles (stage 4) to 13.25 (stage 3 if taking the White Horse Trail or MardenHenge routes). The introduction describes the history of the GSW and the archaeological treasure trove it passes through, gives pointers on the geology and flora and fauna along the way, and has paragraphs on planning the walk, getting to and from the GSW, where to stay, and food and drink. Appendices contain a route summary table, useful contact information, an itinerary planner, and a list of accommodation near the route. At the beginning of each section are facts and figures on distance, ascent, time and maps needed, refreshments, public transport and nearby towns and villages where accommodation can be found. Places of interest are dealt with in considerable detail. As well as background details of the towns and villages, and their churches, encountered along the route, these include the Iron Age hill fort of Barbury Castle, Avebury henge and associated sites, the Kennet and Avon Canal, Salisbury Plain, Durrington Walls, Woodhenge, Stonehenge and Old Sarum. Photos of all these places, and more besides, are scattered throughout the guide. 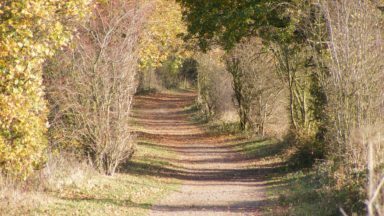 The FoR had wanted the Ridgeway extension to be developed to National Trail standards and commissioned a professional feasibility study to raise funds for this purpose. Unfortunately the very high visitor estimates for the route made in this study gave rise to considerable opposition to it from the residents of (in particular) the Pewsey Vale. Various attempts to appease said residents have not been successful, with the result that not one GSW waymark is to be seen on stage 3, and waymarking is less than comprehensive on the other stages too. As a result, use of the guide is essential for anyone who wants to do the GSW. Steve Davison candidly admits that' .... at the time of publication the route has not been officially accepted and is not signed using the Great Stones Way logo'. In fact there are a few waymarks along the way, but many more are needed. The version of the guide reviewed here is the second edition and Steve Davison has taken the opportunity to update and amplify both some of the directions and the background information, such as accommodation and watering holes. Unfortunately this has resulted in a couple of typos! Further, exactly the same map appears on two separate pages (49 and 55), which seems unnecessary. However these are very minor quibbles, and certainly do not prevent me from recommending this guide to all walkers, whether long distance or purely recreational. "The best guide to the Great Stones Way"
"Packed with colour photographs, easy-to-follow maps and clear, useful information this small, slim volume is easy to consult and light to carry. 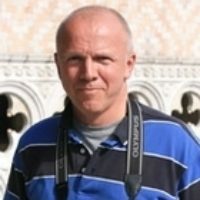 Steve Davison has added appendices that include a route summary table, an itinerary planner, relevant contact information and details of accommodation near the route. So, instead of watching Tony Robinson walking through history in his BBC television series, why not put on your boots and do it yourself? Maybe I will see you along the Way."